Whistleblowing has recently become a vividly discussed topic by the world community. 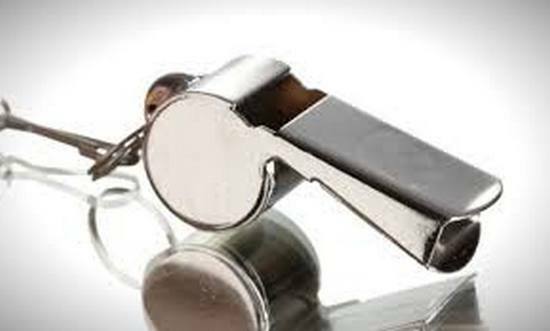 Whistleblowing means that if a person knows something about an unethical behavior of others such as some unlawful or insecure activities within the company, he/she can turn into a whistleblower if he/she makes such information known to the public. The question is what the cons and pros of such conduct are. Some of the most popular of them will be analyzed in the current article. Among the pros of whistleblowing is the fact that it helps to make the unlawful behavior public. This might concern the government or some kind of business whose unlawful actions ultimately become known to everyone. This helps to reveal improper behavior on behalf of businesses and other entities creating some legitimate restrictions and preventing the entities from further wrongful activity. It is suggested that even if a single whistleblower will not change the overall situation, the efforts of many people will help to change the world for the better by revealing the improper conduct of the companies who might be involved in cheating activity. This will be possible to accomplish only if whistleblowers are not caused any harm. Furthermore, whistleblowing is officially protected by the government. There is a Whistleblower Protection Program that gives workers a chance to report about any unethical conduct or violations without any threat of being punished. Such program protects whistleblowers against the possible actions taken by the companies to prevent negative consequences. If a company violates the principles of this program, it might be fined or punished in some other way. This means that whistleblowing is associated with a number of positive aspects. What is more important is that whistleblowers may not worry about some negative outcomes such as punishment on behalf of the companies whose activity has become public. The special program for whistleblowers is aimed at protecting them from unlawful actions of such companies. As for the negative sides of whistleblowing, it should be mentioned that such actions can damage the career of employees. If a worker of the company becomes a whistleblower, the company might catch the attention of the whole corporate world, so that this may negatively affect the career of the given worker. Although from the perspective of the outside world, the actions of the person will be seen as heroic, the company will most likely want to get rid of such an employee as he/she cannot be perceived as trustworthy. Such a disloyal worker will be seen as a person that cannot keep the company’s secrets. Furthermore, the actions of the company might catch the attention of the media, and the whistleblower will most likely lose his/her job within the industry or even in some other spheres as well. Furthermore, the actions of a whistleblower might cause some personal problems. Even though the whistleblower’s intentions were aimed at the common good as he/she acted for the sake of everyone’s well-being, both the media world and the corporations will try to find out more about his/her personal life so as to acquire more information about this person. This might lead to this person being hated by other people, for instance, other workers of the given corporation. The life of the whistleblower might also be under threat. Although he/she took action for the sake of others’ well-being, he might start to be perceived as an enemy on behalf of other people as he/she failed to maintain the reputation of the company. On the contrary, whistleblowing leads to a situation when the company can no longer be seen as reliable and trustworthy. Thus, there can be said much about the pros and cons of whistleblowing, but the truth is that in some cases it brings more harm than benefit for both the company in question and the whistleblower him/herself.